This material for advanced learners provides an accessible combination of pronunciation theory and practice. 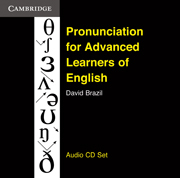 The Audio CDs contain clear pronunciation models and material to improve listening comprehension for Advanced learners both in the language classroom and when studying on their own. 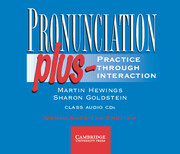 This book helps students improve their pronunciation through a variety of stimulating listening and speaking exercises.